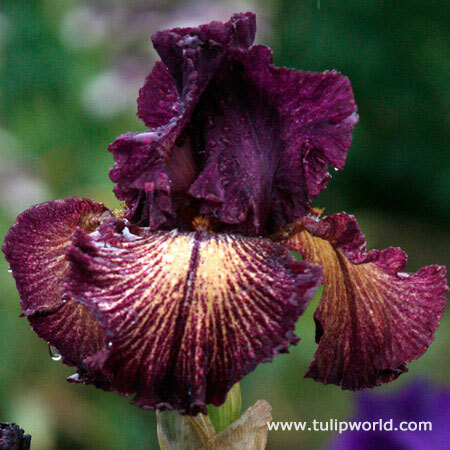 Plant Devil's Playground Intermediate Bearded Iris for a two-toned contrast. Dark purple ruffled blooms gradually fade to creamy yellow as it reaches the center. Pair with other yellow colored blooms to further extend the contrasting appeal.